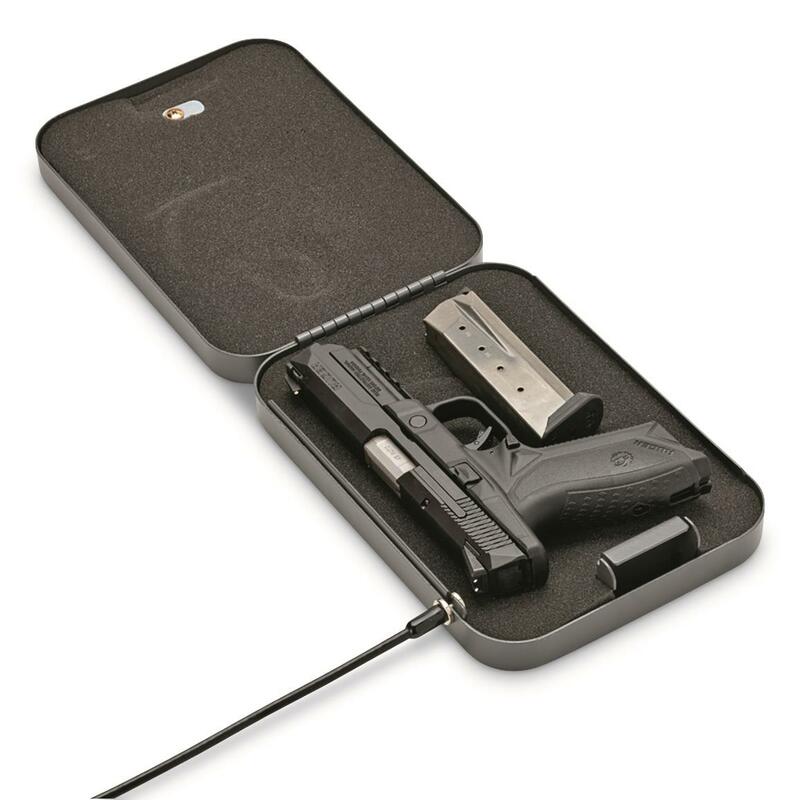 10"l. x 7"w. x 2"h.
For at home storage or traveling abroad, this SnapSafe® XL Lock Box will provide secure storage for your handgun or other valuables. It's made from thick 16-gauge steel, with a foam interior and 1,500-lb. rated steel security cable. Can be locked to any stationary object, car seat, or even the frame of your luggage. 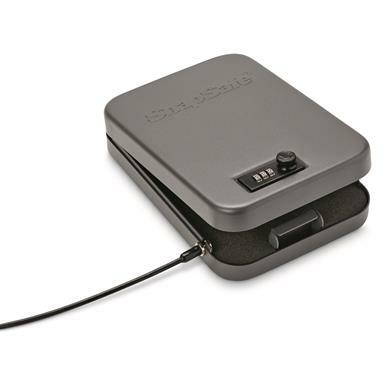 Dimensions: 10"l. x 7"w. x 2"h.
SnapSafe XL Lock Box is rated 5.0 out of 5 by 3. Rated 5 out of 5 by HandyJames from Like it Nice lock box. Like the combination lock better than key. Seem to be strong. Cable is strong. Wish the XXL box had combination instead of key lock. Bought one and liked it so bought 2 more to keep in different vehicles.